2017 ~ Now in Southern California! Yes, Studio 92 has moved!! I’m now in Southern California, but still serving my Iowa clients “back home”. 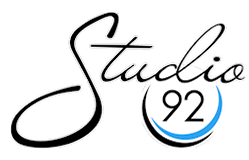 SO-CAL RESIDENTS: Studio 92 is based in the San Fernando Valley and serving the greater Los Angeles area. Please contact us for your family and senior portrait needs. Also, ask us about our fundraising opportunities! IOWA CLIENTELE: We’re still here to serve any future needs that you have from your 2011-2016 sessions. We WILL be booking limited sessions in Iowa in the summer and fall of 2017. We still have our archives of Knoxville Raceway images available HERE . Contact us on the same Iowa number 641-820-0000.